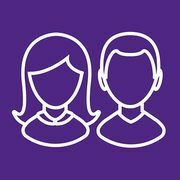 If you have more than one child at school, you will have access to this information for all your children, from the same app. We will be sending you an activation email (to the email address we have on file for you). Simply click on the link from your tablet, PC or smartphone to activate your account. From your smartphone or tablet, download the app from the Google Play or Apple App store - search for SIMS Parent. From a PC or Windows phone, login online at www.sims-parent.co.uk or you can download the app using the links below. Please also see the video below that gives instructions on how to set up your account for the first time.